Clair Matthews: Bonkers about Buttons! This post is about 3 of my favourite things - Collecting, Storage & Organising!!! My very good friend Kay gave me this old wooden printing tray a few weeks ago.. I'd actually been searching for one on my trips around various charity shops for a while, I knew I needed one. My intention was to fill it with my beads but then I decided to sort my buttons (again!) 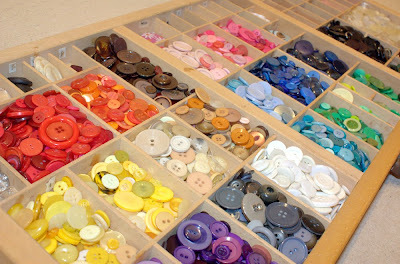 I should add that I have been collecting buttons for years & they have been sorted in many different ways!!.. Then back into one large glass jar (they looked lovely, but again too unorganised). Isn't it great???!!!???? & to make it even better, as it's an actual tray, my dear hubby is going to fix runners under my desk/workspace area so I can actually pull it in & out like a drawer - How cool is that!!??!! Collection of buttons. 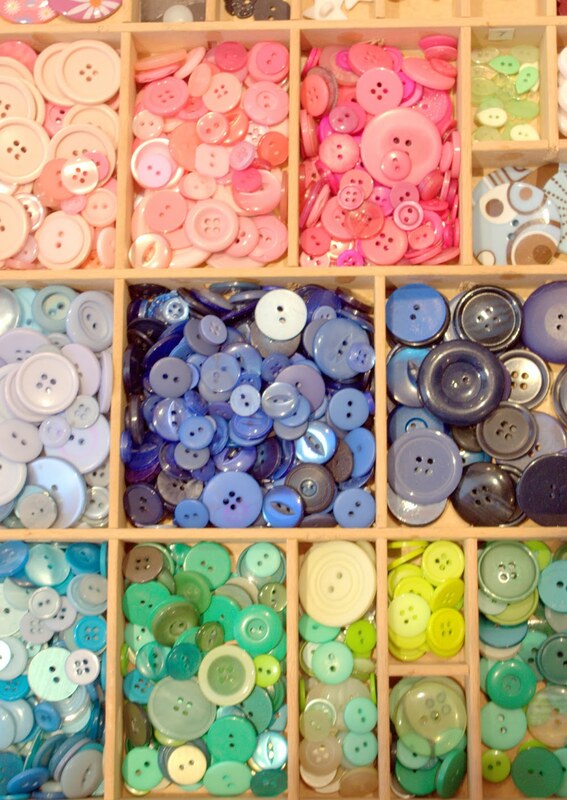 Maybe you had spent too much time collecting many many buttons. Don't you have a plan of selling it? this is great clair. did like them in your big jar though, it looked like a jar of boiled sweets! wow, thats a lots of buttons..
WOW....... Just a few buttons then! But oh boy they do look fab in your new tray.